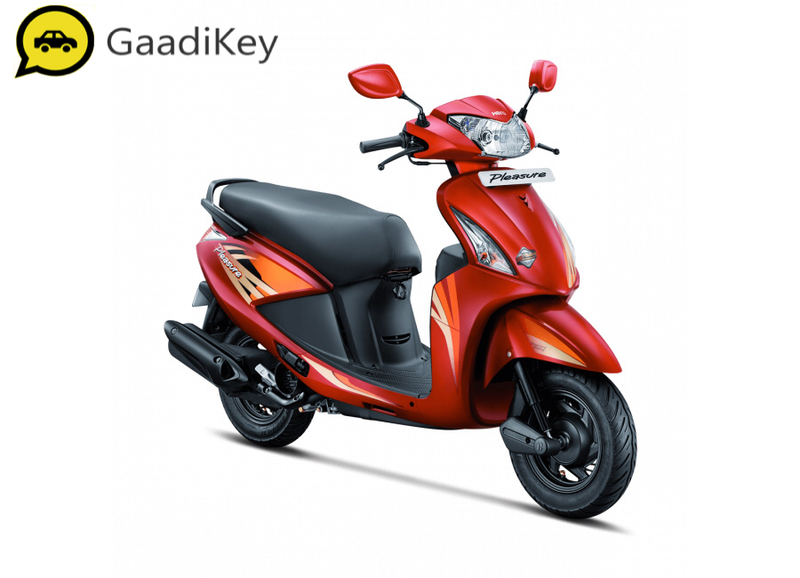 The all new 2019 model Hero Pleasure is available in 7 colors. Photos and details below. 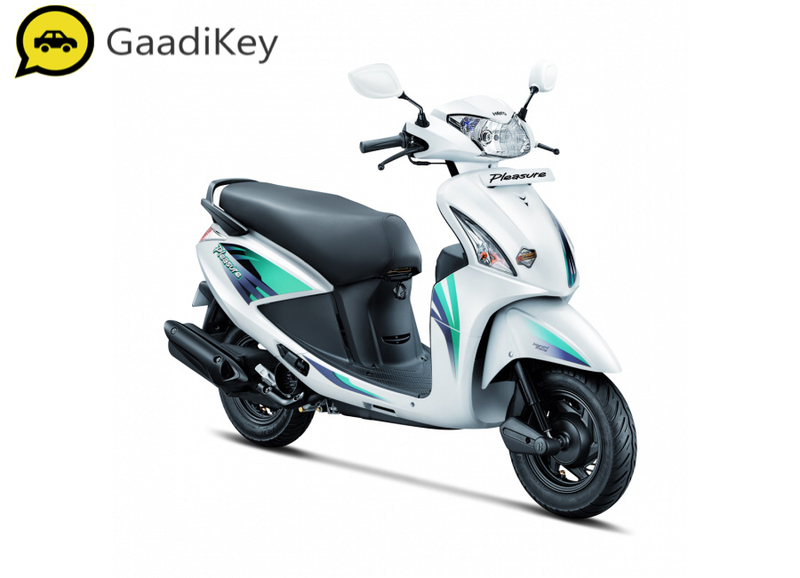 The 2019 Hero Pleasure, with its attractive design and colours, is one of the most popular scooters by Hero Motocorp. 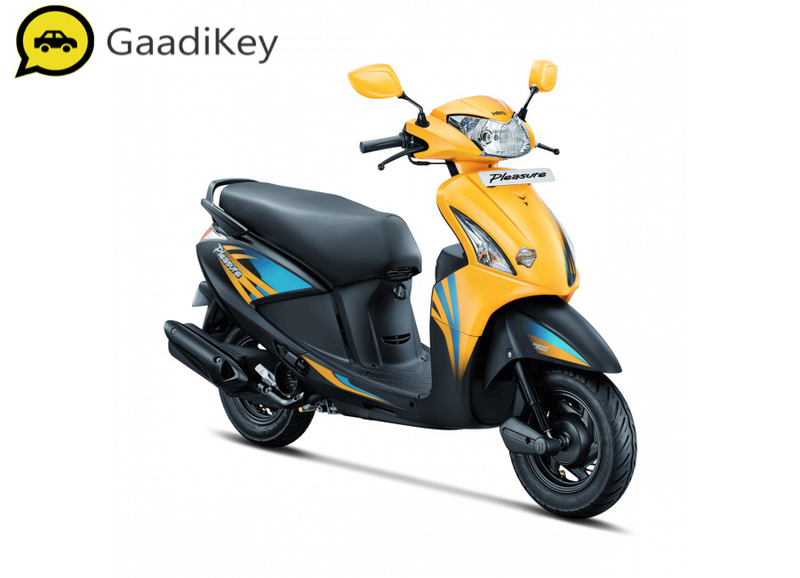 The engine is air-cooled, 4-stroke Single Cylinder OHC, offering a displacement of 102cc and power of 7.00 PS. The claimed mileage is 63 Kmpl and maximum speed is 77 Kmph. Hero Pleasure comes loaded with cool new features like Integrated Braking, tubeless tyres and side stand indicator. Additional features like its light weight, mobile charging socket and boot light in luggage box make Hero Pleasure a convenient and smart choice for consumers of all age groups and novice riders. Provide your details so that we can arrange Hero Pleasure for test drive at your city! 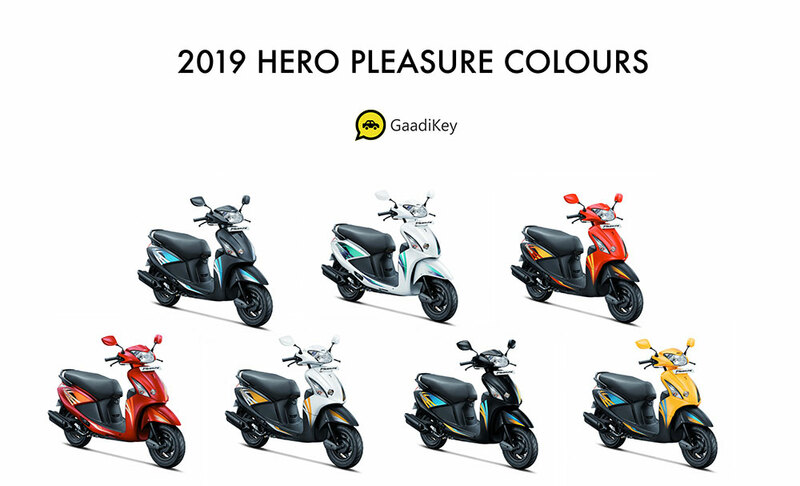 Which 2019 model Hero Pleasure color would you like to go with?